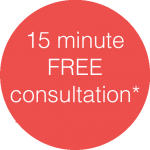 Osteopath Canary Wharf, E14 just five minutes away, giving you freedom from pain. Our Osteopath, Cranial Osteopathy, Pregnancy, Deep Tissue & Sport Massage clinic is only five minutes away from Canary Wharf, E14 underground station! Ideal for Canary Wharf, E14 workers and residents of this thriving London E14 area. Just one minute walk from Outside Canada Water tube station.